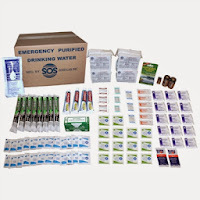 SOS Survival Products: Is It Time to Refill Your Emergency Kit? 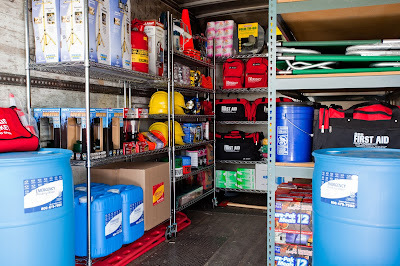 Do you have an emergency kit in your workplace, home or car? If so, how long ago did you buy it and when was the last time you checked it? While your kit may contain non-perishable items like a blanket, scissors, tape and bandages, a number of items do need to be replenished. Here’s a rundown of common items found in emergency kits that need to be replaced every once in a while. Food Rations & Bars: Emergency food rations and bars have a shelf life of five years. If yours have expired, go ahead and throw them out. Drinking Water Packs: Like food rations, these too have a 5 year shelf life. Light sticks: These light source sticks have a 3 year shelf life. Flashlight & Batteries: Place the batteries in the flashlight and ensure it turns on. Batteries last up to 10 years now, but it’s always a good idea to test them. Another idea is to purchase a battery tester to check your batteries periodically. Water in 55 Gallon Barrels: Water placed in a 55 gallon barrel can be preserve for up to five years with the use of water preserver concentrate. However, once five years has passed, it’s best to replace the water. First Aid Supplies: It is recommended to periodically check expiration dates of first aid items such as over-the-counter medicines, antiseptic wipes, alcohol wipes, wet wipe towelettes, antibiotic ointment, and instant ice packs. Dispose of expired first aid items and replenish as needed. In addition to these perishable items, you may need to refill items that have been used over the years. 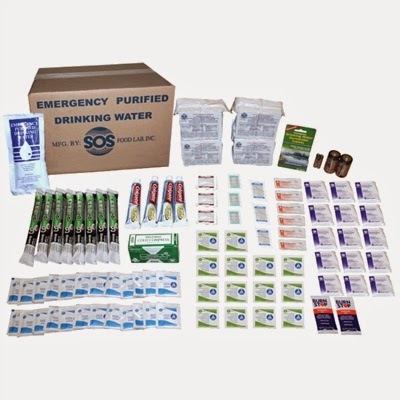 Fortunately, SOS Survival Products carries a number of emergency refill packs. Each comes with new food rations, water packs, wipes, batteries and more. You can order various sizes from 1-person kits to 100-person kits. Also, feel free to shop for individual items in our store. So if it’s been a while since you last inspected your survival first aid kit, take the time to see if items need to be replaced. You never know when you may need them. What do we do with expired light sticks?